In summary 2014 has been a pretty lousy martial arts year for me. I’ve entered a phase of non-motivation and thus have been more than happy to let other things in life take up my brain space. One big thing for me this year are cats! We found 2 abandoned kittens earlier in the year under my mother-in-law’s house. We rescued and fostered them and now Rongkus lives with me and my husband, while his brother Sergio lives with my brother-in-law. Shortly after, their little brother Xiaohu (from a later litter) appeared and long story short, we now have 3 cats firmly implanted into the family. Cats are really good at grappling by the way! Rongkus plays top game and is an expert at head control, which he uses to full advantage to hold the other 2 down so that he can groom them. I also got a new job and along with that, a whole new routine and new things to fill my head away from training. It’s taken a fair while to settle down to a routine of working/cats/training as it’s quite tempting to just go home after work and play with Rongkus rather than head to training. But I’m getting there! 2014 has also been a year of injuries. Let’s see, in one year I’ve sprained an ankle, developed some kind of RSI type thing in my wrist and locked up a couple of joints in my neck. Injuries are pretty usual but when coupled with my non-motivation, it’s just been harder than usual to kick myself into gear to train harder. However, 2014 hasn’t been a complete write off for me, there has been little achievements and “Ah I see now!” moments. So rather than just be depressed about a non-motivation year, I’d like to recap the better moments. I’m pretty sure this is going to be a yearly highlight for me. 🙂 I always have an awesome time training with the Leverage crew so it’s one more thing to look forward to on our annual trips to Malaysia. I almost didn’t join in this year but I woke up on the morning and thought, “If I don’t do it, I’m going to regret it!” So I jumped into it with zero preparation and much nerves but I’m glad I did it anyway! Out of 4 rounds, I won 2 with submissions (1 basic collar choke from mount and 1 figure four from side control). I was really happy with how I did because I had been focusing lately on position control basics and could definitely feel an improvement in this competition in terms of my basics. What I didn’t do so well was definitely not having the fitness and endurance to keep up with the pace of the young competitors! 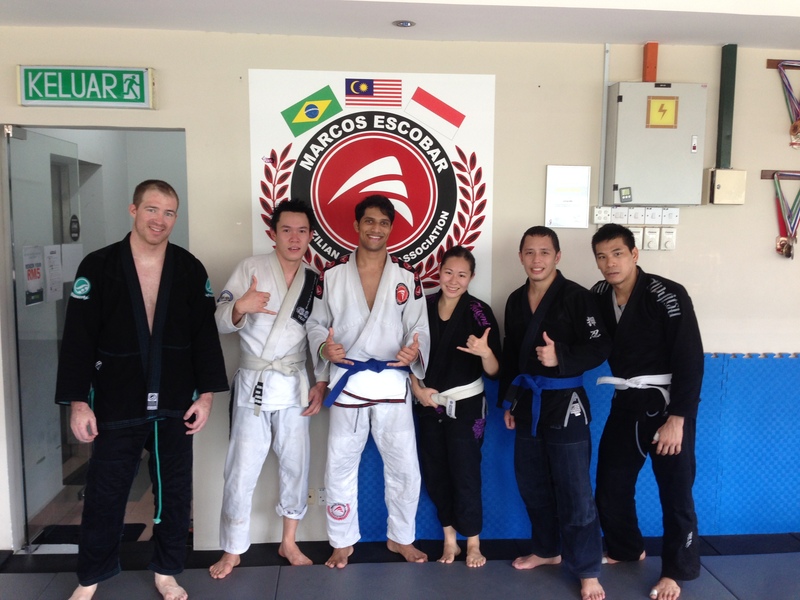 I started having regular private classes with my coach Ben Hall and my focus has been on positional control. I’m starting to get a much better understanding into the core of each position and what I need to be doing to control the position. There’s still a long way to go but right now, I’m most interested in just getting my basics down pat and I believe that this is exactly where I need to be putting my focus in at this point of my training anyway. I’ve got plenty of time later to worry about subs and other cool moves. 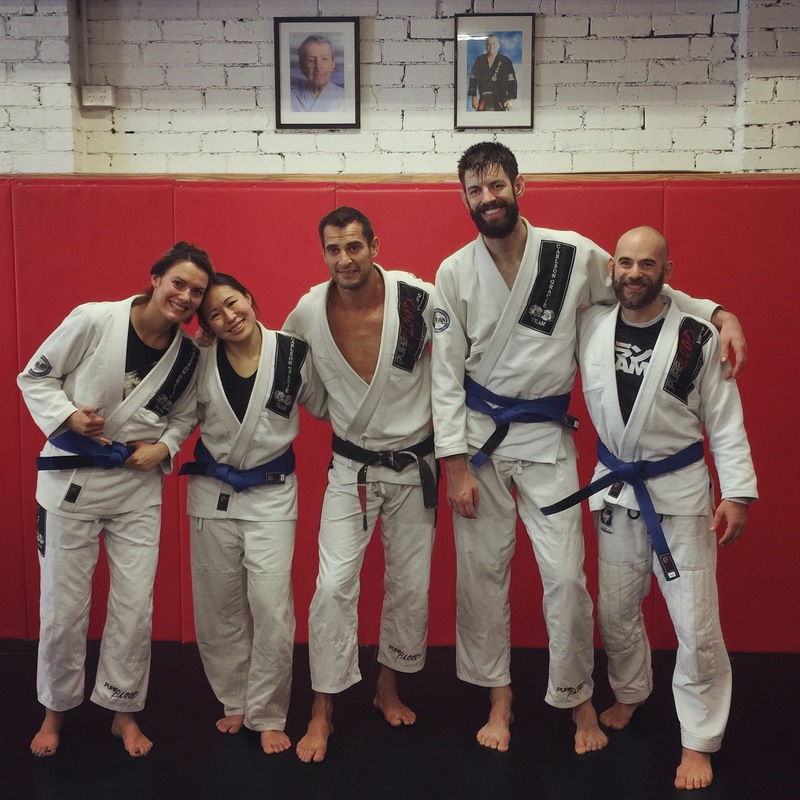 I Got My Blue Belt!!! It is a phase and it will naturally pass and soon I will be back with 110% motivation. Don’t try to force myself to be into it, focus on the little things like maintaining fitness (I decided this one was beyond me :p), closing little gaps in already known techniques, or maintaining a consistent training routine no matter how little progress I’m getting out of it. Some people feel better after taking some time off, some people train harder to get out of the phase. Everyone deals with these times differently. For myself, I continue to apply myself to training physically, even if mentally I’m completely switched off. This works for me because I’m not the most disciplined person so I know I have got to maintain the routine else it’ll be doubly hard to start training again. As always but more so during these times, I take special care to guard against injuries and leave my ego and pride far, far away from training. 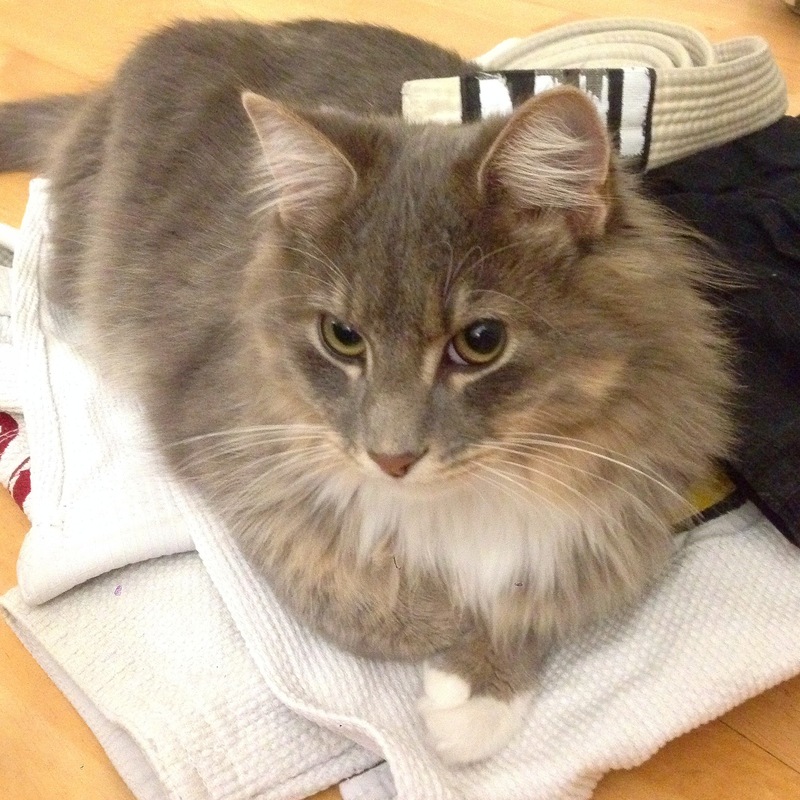 This entry was posted in Musings, Observations and tagged 2014, bjj, blue belt, cats, new year. Bookmark the permalink.